This Studio deals in fine Art reproductions by local St. Augustine Artists who belong to the Galeria Lyons Gallery. Prints may be purchased by visiting the Galeria Lyons Art Gallery, on-line or by speaking with the Artist directly. 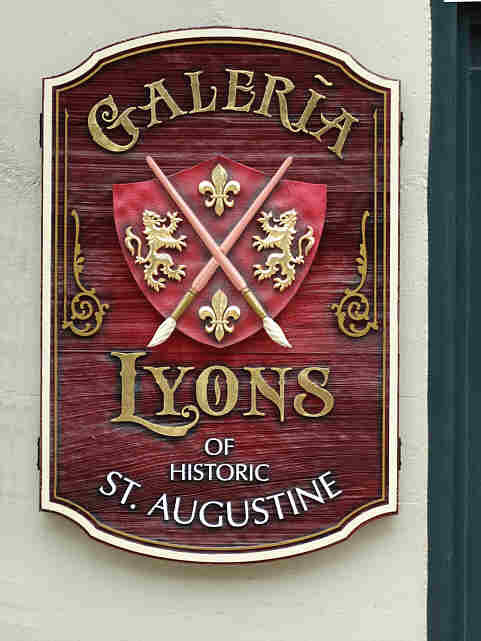 Galeria Lyons Gallery in St. Augustine, FL. - Artist Prints for sale. Fine Art Reproductions of art by artists who exibit their work in the Galeria Lyons Gallery in St. Augustine, FL can be purchased here.